You may know me from such internets as Smithsonian’s Paleofuture blog and Pacific Standard’s Time Machines blog. But today the Paleofuture blog (and yours truly) are moving to Gizmodo! I started the Paleofuture blog back in 2007 and had no idea that it would one day become my full-time job. But a couple of years ago it did. And now I’m tremendously excited to be joining the Gizmodo team. 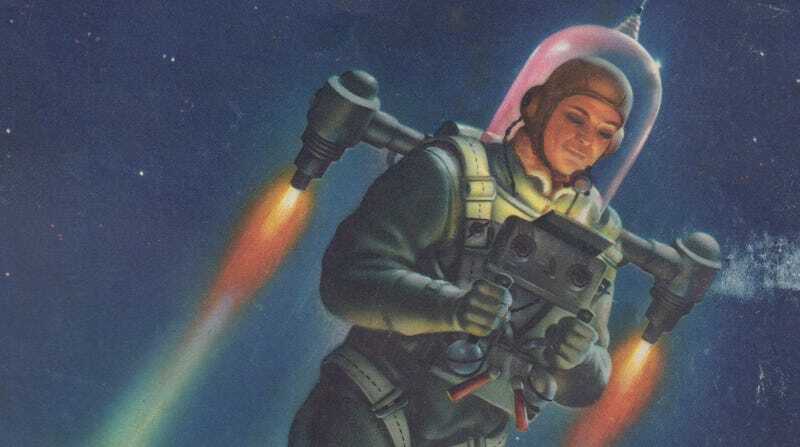 The Paleofuture blog takes a look at past visions of the future — everything from jetpacks and flying cars to Jane Jetson’s crippling depression. I firmly believe that by studying yesterday’s futures we can get the most honest look at any given generation’s greatest hopes and darkest fears. And maybe (if we’re lucky) gain some insight into what the future holds for us. I’ve spent the past 6+ years collecting all kinds of objects related to how people of the 20th century imagined we’d be living in the future. My collection includes comic strips, books, animation cels, old press photos, magazines, handwritten letters from futurists like Bucky Fuller, 1960s toy rayguns, Space Age lunchboxes and plenty of other weird ephemera. The vast majority of what I’ll be writing about here at the Shiny New Paleofuture™ will (as always) be pulled from my personal collection. I’m incredibly grateful to all of the sites that I’ve written for over my past two years as a freelancer — especially Smithsonian, Pacific Standard and BBC Future — but I’m pretty excited to be able to focus on just one project now. Why don’t we start things off by getting to know each other a little bit. Do you have a favorite old vision of the future?